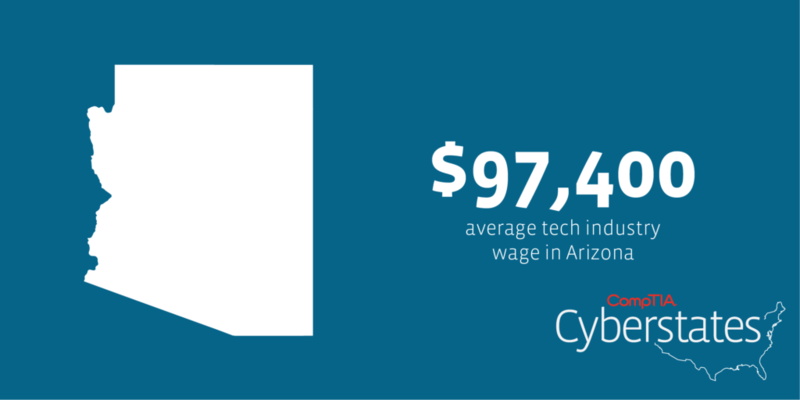 The 2017 CompTIA Cyberstates Report was released on Monday and shows some great traction for the technology industry in the Greater Phoenix Metro area. Among other findings, the report shows the average tech wage at nearly $98k nearly doubling the $50,200 overall average annual salary of the region. 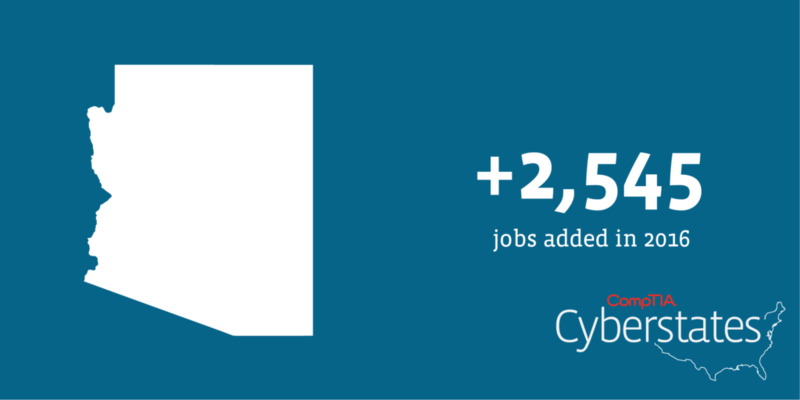 Sector news showed a 3.4 percent year-over-year growth in the IT Services and Custom Software Services industry sector. Not surprisingly, software and web developer jobs lead the ‘tech occupation jobs’ race. Computing Technology Industry Association (CompTIA) is a leading technology association dedicated to serving the tech industry and workforce through education, training, market intelligence, and advocacy. CompTIA compiles its Cyberstates Report with data from the U.S. Bureau of Labor Statistics, the U.S. Bureau of Economic Analysis, the U.S. Patent and Trademark Office, Economic Modeling Specialists International (EMSI), Burning Glass Technologies, and Hoovers.